Legal Personality: All the companies incorporated shall have distinct legal personalities. This includes the capacity to enter into contracts, sue and be sued, own a property and incur debts. Artificial Person: A company is an artificial person, not a natural person in terms of its existence. It shall be owned by atleast one Director and one Shareholder. It has its own legal existence and is unaffected by the death, insolvency, bankruptcy and other situations of either of its members and shareholders. A company can be ended only through winding up provisions of the Company Act and not otherwise. Common Seal: A Company after its incorporation shall have common seal .The common seal shall be the official signature of the Company and it is distinct for each company. Central Administration: The administration of all companies is the responsibility of the Central Government. Perpetual Succession: A Company and an organisation shall continue being in existence not being affected by the death, bankruptcy, insanity, change in stocks or shares, changes in membership, entry and exit of its members, etc. and continues to exist. Board of Directors and other Management: The Company is managed by its Board of Directors, Managers and Managing Directors. 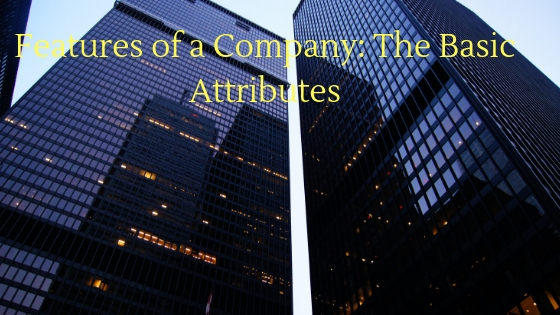 Their appointment and responsibilities are subject to the provisions of the Company Act. Statutory Obligations:A Company has to abide by various statutory obligations for a valid and secure existence. Maintaining registers, filing balance sheets, declaring dividends, holding meetings and other. Limited Liability: In a limited liability corporation, the member’s liability is limited to the share value worth of their company and they are not personally liable for the debts and liability of a limited liability corporation. Doctrine of Indoor Management: Also known as the Doctrine of Constructive Notice. 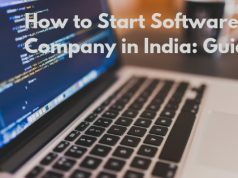 As per this, what happens internally in a company is not known to the public or to the external people, so it is the duty of company to safeguard the public or external people in case of fraud or misconduct at the part of the Company. Doctrine of Oppression and Mismanagement: Any affair of a company which is unfair, prejudiced and oppressive towards a member or public interest can be complained before the Tribunal for a suitable action. Number of members: The number of members of a Private Limited Company has been increased to 200 from the existing number 50. The total number of partners has been increased to 100 from the previous limit of 20. However, this limit shall not apply to professional associations of lawyers, company secretaries and chartered accountants etc. Corporate Social Responsibility: Section 135 of the new Act, 2013 has incorporated Corporate Social Responsibility in the VII Schedule of the Act. The Companies shall have to divert atleast 2 percent of their net profit towards CSR or Corporate Conscious. This shall apply to Companies having either 5 crore net profit, 1000 crore turn over or 500 crore net value. More Power to Shareholders: Any member or depositor on behalf of other members and depositors can now file a class action suit before the National Company Law Tribunal and prevent the Company for doing any act which is beyond its powers mentioned in the Articles of Association. The Shareholders have more approving rights for various transactions now. Companies with a turnover of 300 crore rupees or more. All the other listed Companies. National Company Law Tribunal: The National Company Law Board and the Board for Industrial and Financial Reconstruction has been replaced now with the National Company Law Appellate Tribunal for relieving the Courts of its burden and provide specialised services. Mergers: The mergers and their procedures have been reformed under the new Act of 2013.The concept of cross-border mergers has been introduced where a foreign Company can merge with an Indian Company as per the guidelines of RBI. One Person Company: The new One Person Company concept of the Act allows having a private company with only one Director and one Shareholder while earlier there had to be two Directors and Shareholders. Directors: As per the new Act, the Companies shall have atleast one Indian resident Director who has for minimum stayed for 182 days in the previous calendar year. All the listed Companies shall have atleast one-third of the Board as Independent Directors who shall not hold office for more than 2 consecutive years in 5 years. The Directors and members can now be indemnified by the company in case of losses unlike before.